The beatitudes place before us conditions that may be considered pitiful, but declare that those living in them are “blessed.” While we may know some winners of the Nobel Peace prize, and while even young children may know recipients of the peacemaking award in their schools, I suspect we do not know anyone who has ever won a prize for being poor, for weeping, and for being meek, hungry, merciful, persecuted, and insulted. In fact, in many societies and perhaps in ours as well, those in these states are often considered to be weak and even cursed. 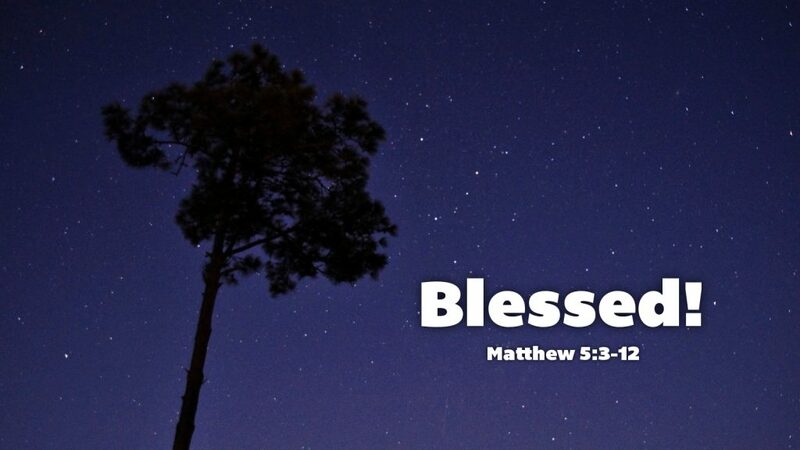 Jesus declares them “blessed”! We live in an age and society in which we can acquire knowledge by simply “googling” a question. We are surrounded by a lot of material goods. Even the poorest of the poor in our society is rich compared to the poor elsewhere in the world. We have figured out solutions to so many problems that cause weeping in many other places. Whether materially rich or poor, the poor in spirit — those who give their lives to Christ who shed his precious blood to save us from sin and grant us eternal life — are blessed, for they will be granted eternal life in heaven. Prayer: Lord God, grant me to be poor in spirit, trusting not in my own strengths, but in the merits of Jesus Christ who died on the cross so that I may live forever with you. Amen.